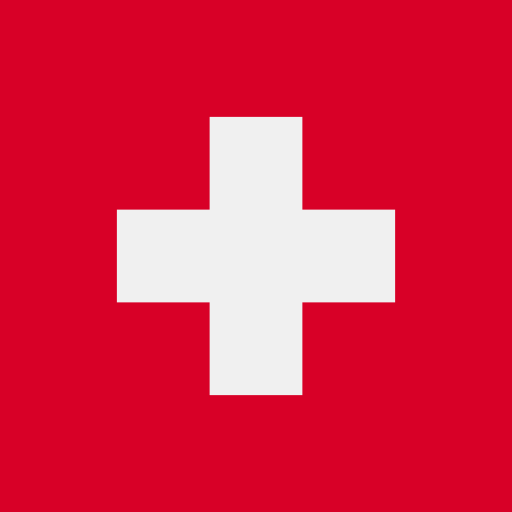 Bern is the second largest Swiss canton and is famous for its intense natural beauty. This is a popular destination all year round as in addition to being a great place to take place in winter sports, many travellers book a mobile home at one of the luxury camping sites in the Canton of Bern so they can spend their time hiking through the valleys of the region to visit enchanting traditional Swiss villages. 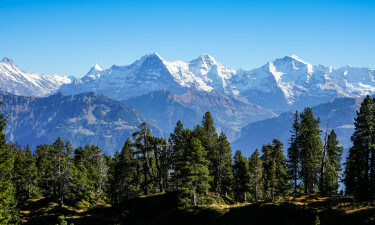 Why Should Visitors Choose a Camping Holiday in Bern? Situated in the heart of Switzerland, this region of the country boasts richly varied scenery and interesting traditional towns and villages. This is the perfect place to stay for those who want to discover the true essence of Switzerland while staying in style in a luxury camping site. Set on the shores of Lake Thun, this luxury camping site makes the perfect place to use while exploring the area. The site provides plenty of activities for the whole family to enjoy, while this is also a great place to stay for those who enjoy fishing and other types of water sports. This premium LUX-camp is a good place to stay for fans of winter sports as the site boasts its own ski lift as well as cross country skiing opportunities. People who book a mobile home here in the summer months will also be able to spend sunny days hiking and trekking through the surrounding valley. This part of Switzerland features a large number of lakes, with many of them boasting a stretch of sand on the shore where visitors can soak up the sun. 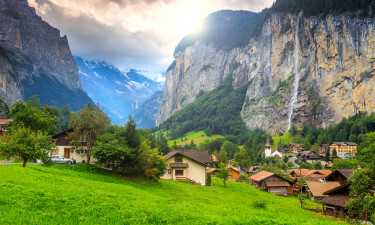 The Canton of Bern also features some of the most impressive waterfalls in the whole of Europe including Staubbach Falls and Trümmelbach Falls, which is a series of glacial falls that are situated close to the town of Lauterbrunnen. Berne is the capital of this part of Switzerland and this enchanting city boasts a large number of impressive attractions such as the Federal Palace of Switzerland, the Swiss Alpine Museum and the Berne Historical Museum. 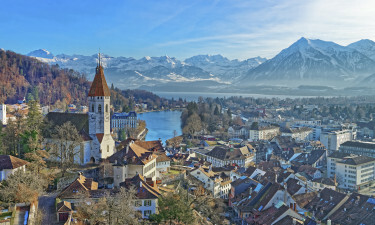 Visitors will also want to take a trip to Unterseen, which is a traditional Swiss town that is steeped in history and surrounded by natural beauty. Visitors who explore this enchanting part of the country will find that Swiss chocolate is made fresh in many of the traditional shops. Visitors can sit and sit a cup of coffee and soak up the scenery while they wait for their chocolate to be made. 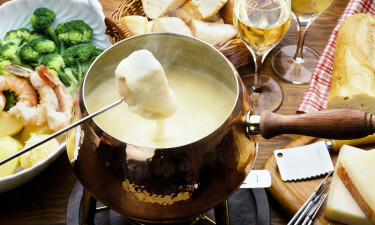 Swiss dishes such as raclette and fondue are also served in many of the restaurants in the area, while this is also a good place to try fresh fish that is caught in the region’s large lakes.